Contemporary kitchens are one of the most popular styles of kitchen, and for good reason. They’re clean, stylish and uncluttered – whilst still remaining liveable. 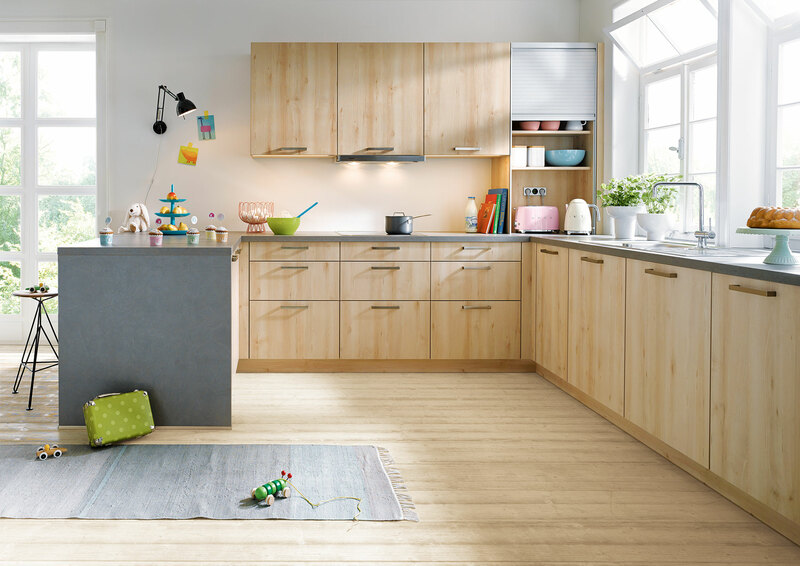 With the space saving innovations of a contemporary kitchen – they can fit into almost any sized kitchen area. But what really constitutes a contemporary style kitchen? 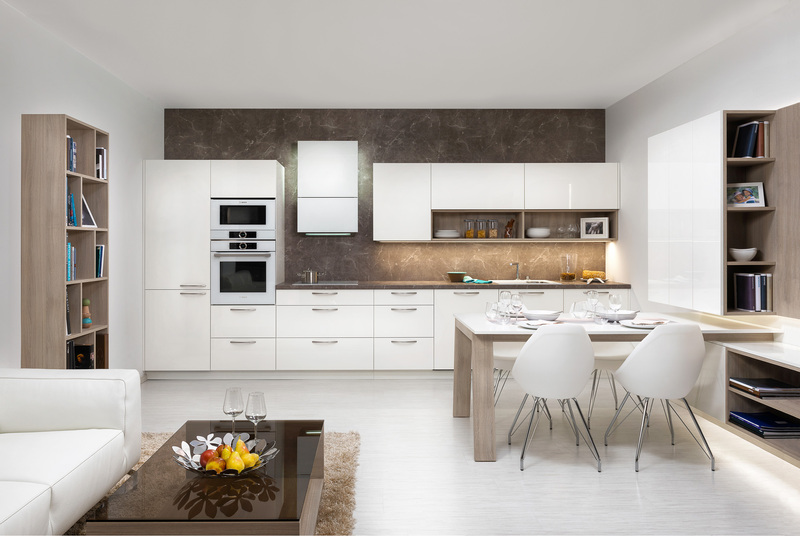 The essence of a contemporary kitchen design is clean, minimalistic spacious and light. But above all else a contemporary kitchen is attractive and something you want to show off to your friends and family. Because such an emphasis is put on minimalism and simplicity, contemporary kitchens are free from all unnecessary objects meaning there will likely be no ornaments present. One of the great things about contemporary kitchens is they make good use of the space available. And with clever use of horizontal lines, the kitchens look much larger than they actually are. 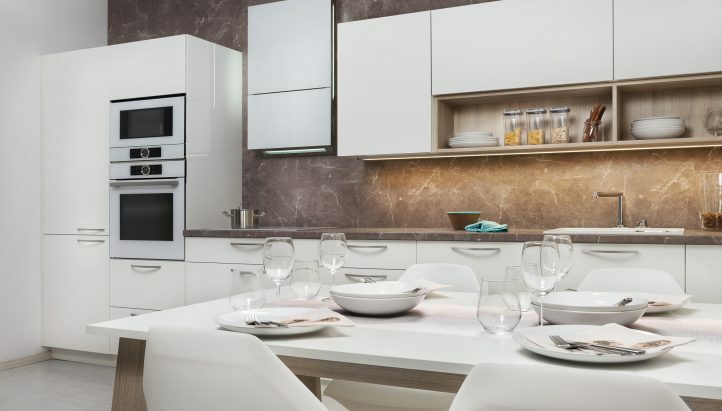 Contemporary kitchens are well renown for consistently looking clean and tidy – all year round. 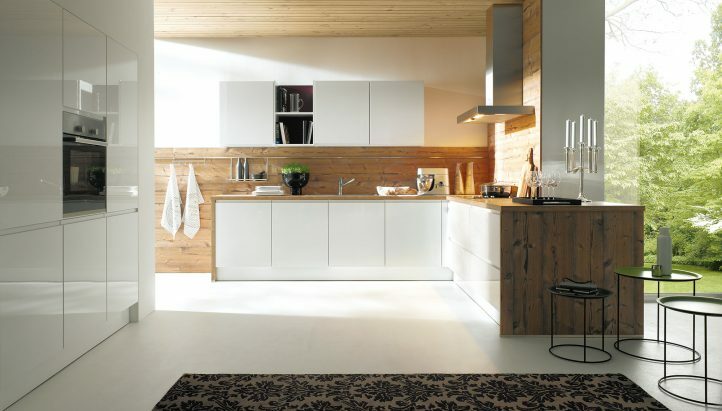 Contemporary kitchens have flat panel doors meaning that the centre panel is flat and not raised. There are no furrows or other decorations and the doors will typically cover the entire frame – creating a clean, elegant look. Appliances are built into the cabinets to ensure they do not look detached from the kitchen. Hiding appliances behind cabinet doors maintains that clean spacious look that we all desire in a contemporary kitchen. Simple rows of cabinets with long shelves make up the clean horizontal lines that are essential to contemporary kitchens. These are the horizontal lines that make contemporary kitchens look much larger than the space they occupy. There’s a lot of reasons why so many people are opting for a contemporary kitchen of late. When it comes to a contemporary kitchen one thing’s for sure – no space is wasted. Even the smallest kitchens can have enough room for an entire family’s kitchen needs without compromise. The contemporary design also gives the illusion of a larger kitchen, making it feel less cluttered or boxed in when you are next cooking or entertaining guests. 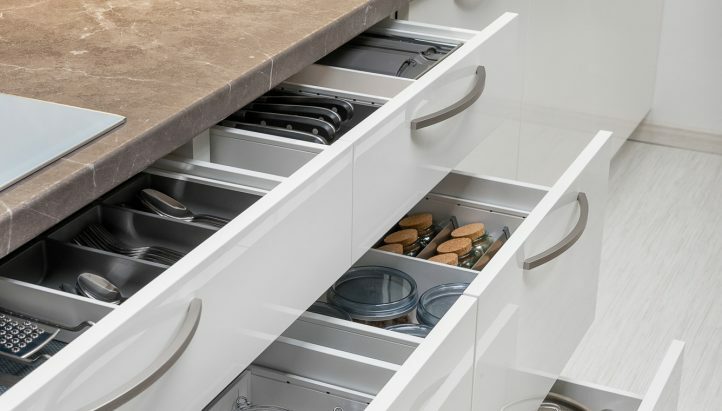 There is a set place for everything in a contemporary kitchen, so no more “where did I put that” moments and no more messy kitchens. Let’s face it – 21st century life isn’t easy. You work hard and you have little to no free time. You need a kitchen that respects that. Contemporary kitchens are designed with 21st century life at the forefront. With integrated appliances and a seamless design there are no cracks for food to fall into and no spaces for things to get dumped. 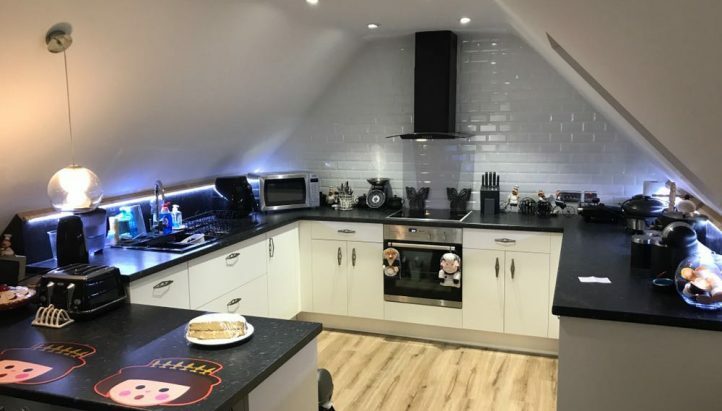 Just a clean and tidy kitchen, that even the busiest of people can keep looking great for years to come.